Sapphire & gemstone cocktail ring. 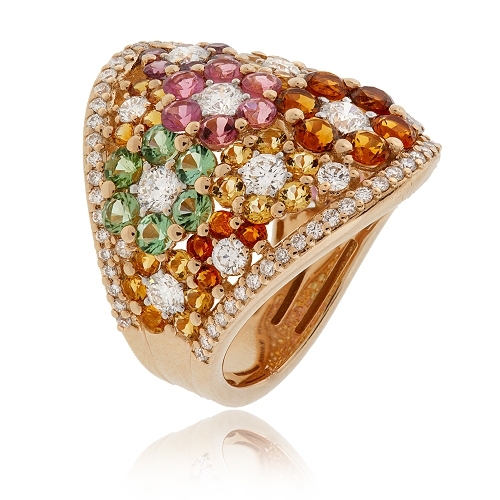 Sapphires & multicolored gemstones set in floral clusters bordered by diamonds in an 18kt rose gold mounting. Diamonds approximately 1.62 ct. Ring Size 6.5.